You can’t help by crave for durian during this bumper crop season. 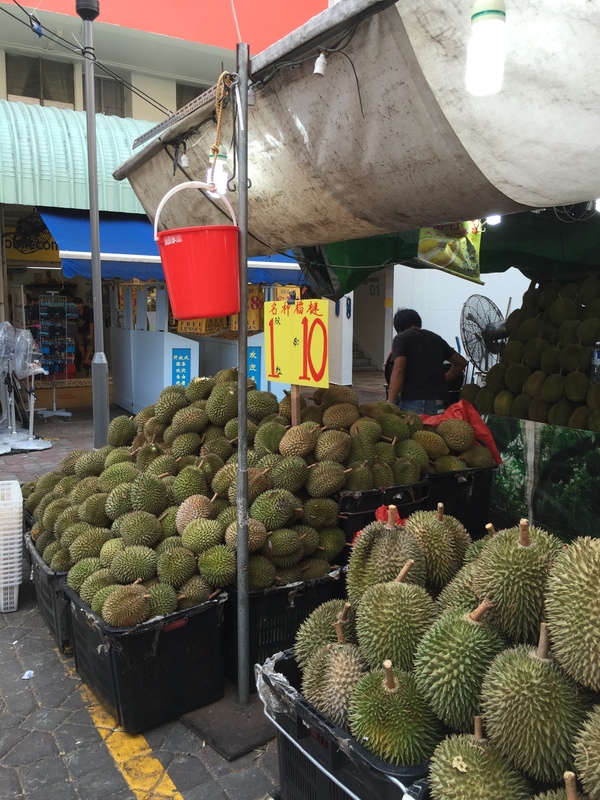 Chong Pang City (Sembawang) is a good place to get durians as cheap as a dollar. 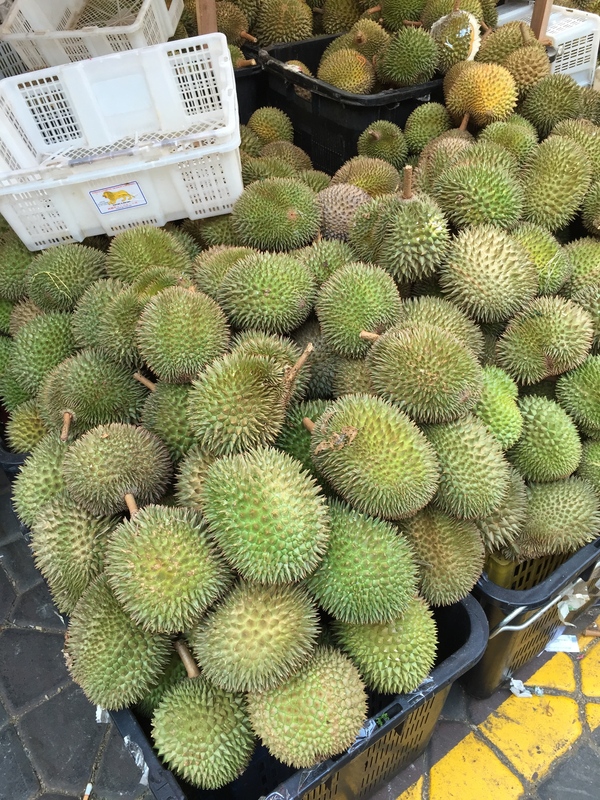 We tried the $10 durian called D101 and that was creamy and pretty awesome. Pretty close to Mao Shan although the best durian I’ve tried is Mao Shan which is not in the least watery and just the right density. To save time just buy the durians without having them cut and the fruit packed for you. If you do this you have to wait at least 30 to 40 minutes in a queue which moves slowly as the people in front have each bought at least 10 durians. But you need the skill to cut the durian and this saves you the trouble. But if you’ve having a durian party and you want to show the kids how it’s actually done, doing it yourself will be a good idea. 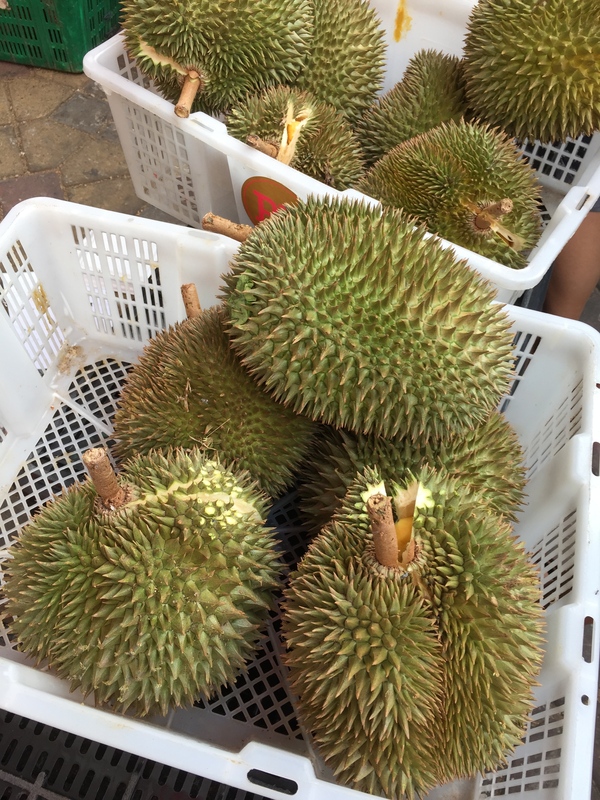 This entry was posted in Singapore Living and tagged Chong Pang City, D101, durian, durian season, Sembawang, Singapore. Bookmark the permalink.